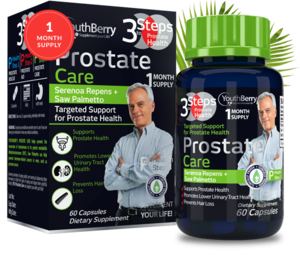 Prostate health is a serious issue that affects men. The frequent urination may make it difficult to lead a normal, happy life. It can even hamper a good night’s sleep. 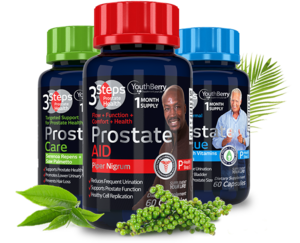 YouthBerry’s Prostate Health is an all-natural, comprehensive formula with natural herbs and extracts that works towards maintaining the good health of your prostate gland. Growing numbers of aging adults are turning to balancing their hormones to fight the signs of aging and regain their youthful vitality. 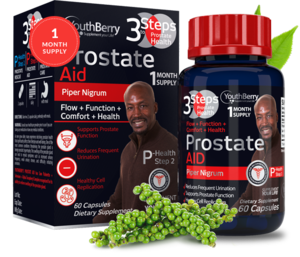 YouthBerry’s Prostate Care supports prostate health, promotes lower urinary tract health. 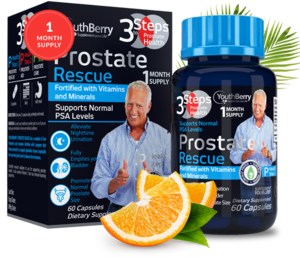 It also prevents the conversion of testosterone to its potent metabolite dihydrotestosterone (DHT), and Saw Palmetto can help prevent hormone-related cancers in men, such as prostate cancer.